You’ve long ago outgrown the feeling that “good enough” is good enough. Now you define your life by the rewards you deserve, and the luxury to which you are entitled. 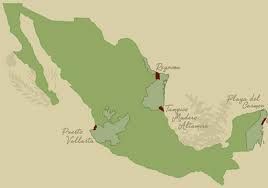 This makes you the ideal people to become Grupo Velas vacation club members. Grupo Velas Hotels and Resorts are the hoteliers and hospitality providers behind Grand Velas, Casa Velas, Velas Vallarta, and other luxury hotels and all-inclusive resorts. With decades of experience, the travel and accommodations experts at Grupo Velas have fine-tuned the art of indulgent vacationing and holidays and have mastered the skill of helping their guest and club members enjoy opulent surroundings at the most affordable prices. You may enjoy the finer things in life, but you also enjoy getting them at a great value. You are exactly the person who will appreciate the savings inherent in your vacation club membership, discounts that will be even greater because you bought your membership on the resale market. Your membership credits can be spent just like actual dollars on the amazing vacation and travel deals offered exclusively to members. Participate in the Rewards CashSM Program to take full advantage of your “electronic dollars”. We’d tell you that the sky’s the limit for Grupo Velas vacation and travel club members, but with the great deals available on airline tickets for Velas VIPs, you really don’t have any limits when it comes to how much you save on travel and vacations. Members enjoy luxury accommodations in studio, one-, two-, and three-bedroom vacation condos and holiday homes at thousands of highly-sought and desirable destinations worldwide. They have opportunities to save on airline reservations, cruises, rental cars, and hotels—and that is a very comprehensive list of the vacation specifics you’ve probably been paying too much for, for too long! Make no mistake, the savings available to members (including members just like you, who buy their vacation club points on the resale market) are not available to the public. 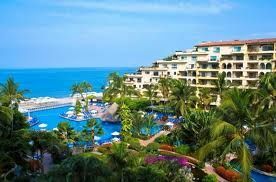 Grupo Velas travel deals are non-published, discounted rates offered only when you become a Velas VIP. Contact Grupo Velas Specialist Today! This resort has pretty much everything one could ask for. A view that's amazing, a beach to walk on when ever you want, activities for both adults and children of all ages, service that is awesome. 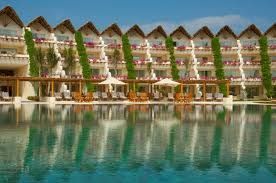 My husband and I spent 2 fantastic weeks here at the "Club Velas Vallarta" with an all inclusive package. During our stay we could have all the food and beverages that one could ask for in the various restaurants around the resort, in our room or by one of the many pools on the grounds. All of the people involved in running this resort make you feel like family. We would definitely go back for more vacations here!